How is this nothing different from that one? Sometimes, the process is fairly simple: incidents, words, images you encounter in your day bounce off some element in the story you’re writing and – zip, snip, shape, reconfigure – the story moves ahead by a few paragraphs, or even by a whole chapter. Other times, it’s much more complicated. What real life brings your way sets off an unexpected iteration through childhood memories, for example. Vivid recollections of places, events or, even, a specific food eaten in a specific convent refectory; the exact location of a bed in a specific dormitory; the sound and smell of a specific sewing room. The problem is: for one, nobody in the story you are writing has any use for these recollections, at least not in their raw form. For another, the recollections are so vivid, they hold your attention, and won’t let it go. I’m starting to see some use for the flavor of the moments in those recollections. But it’s a slow process; first, it involves finessing out what the moment was about. That involves setting aside the automatic responses to a given setting, in order to see what is recorded in this or that specific memory. Once you’ve found the kernel in it, you can extract it from the personal memory with its setting and cultural references. That’s where the possibilities start in terms of making that sensation/mood available to a fictional character with a different childhood, and a different life story. The basic message for this writer always being: never mind what someone else would make of the memory or of the reference. Pay as close attention as you can to what it means for you. Even if the moment suggests nothing, pay attention to the specific quality of that nothing. I think it was Georges Braques* who said something to the effect that a painting is also the empty spaces on the canvas, and that you must pay as much attention to those as to the more colorful representations on it. At the moment, the creative process over here is much akin to that. The photo has nothing and everything to do with the rest: I took it last fall while visiting the countryside around Graulhet. Combined with other references to mules and to donkeys yesterday, it inspired a small moment with some potential for development in the story. 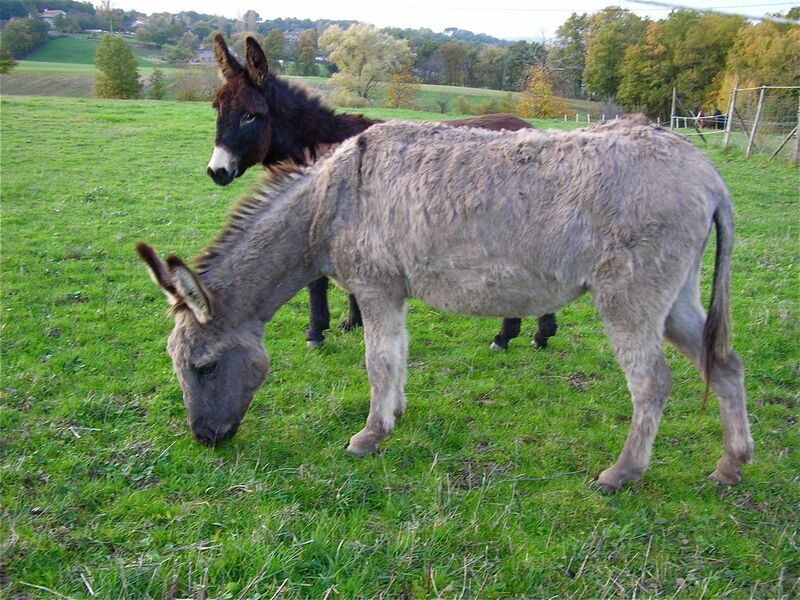 For a person raised mostly in French, the donkeys also happen to set off powerful recollections of a book called Lettres de mon moulin by Alphonse Daudet. I haven’t read it in years, but something tells me I’ll be picking it up at the médiathèque soon. Just mentioning it, and reading a brief excerpt, brings back the smell of the copy I read at age nine or ten. More to the point for my purpose here, it suggests an alternate pathway through which some personal recollections can travel to feed into the given fictional character.